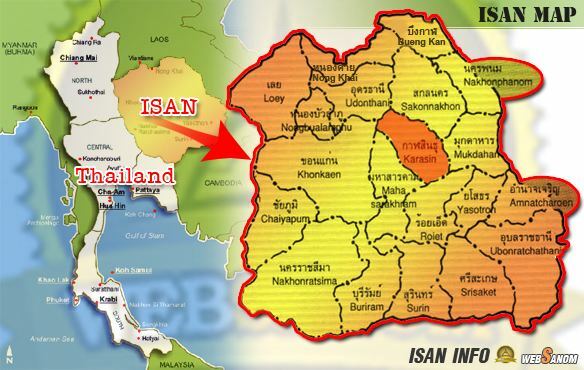 Kalasin (Thai: กาฬสินธุ์, [kāːlāsǐn]) is one of the northeast (Isan) provinces (changwat) of Thailand. The province was established by the Act Establishing Changwat Kalasin, BE 2490 (1947), and it came into existence on 1 October 1947. Most of the province is covered by hilly landscape. In the north is the Lam Pao Dam built from 1963-1968. It stores 1,430 million m³ of water for flood prevention and agriculture. The Lam Pao reservoir effectively cuts the northern part of the province in half, but there are car ferries connecting the district of Sahatsakhan in the east with the district Nong Kung Si in the west, saving up to one hour off the journey by road. 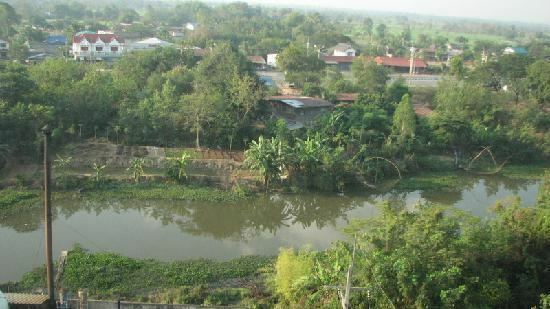 On the northwestern creek of the reservoir a road bridge connects the village of Ban Dong Bang in the west with the district town of Wang Sam Mo in the east. Although the bridge was constructed several years ago (pre-2000) it is not featured (2006) on any commercially available road maps. During the thesaphiban reforms in the reign of King Rama V at the beginning of the 20th century, the town (mueang) was upgraded to a province. In 1932, when the country experienced the great economic depression, the province was demoted and included as a district into Maha Sarakham Province to reduce the financial burden on the country, Kalasin was dependent on Maha Sarakham for 16 years. After the great recession and World War II, it once again became a province in 1947. 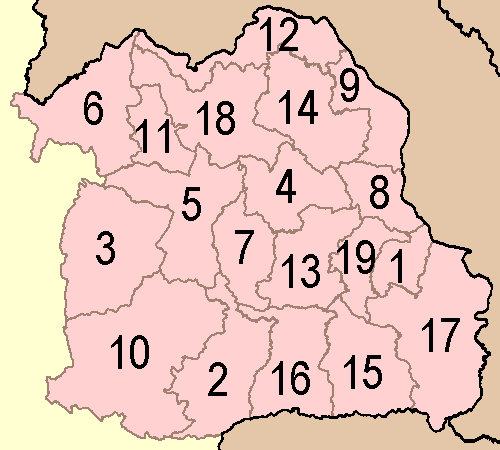 The province is subdivided into 18 districts (amphoe). 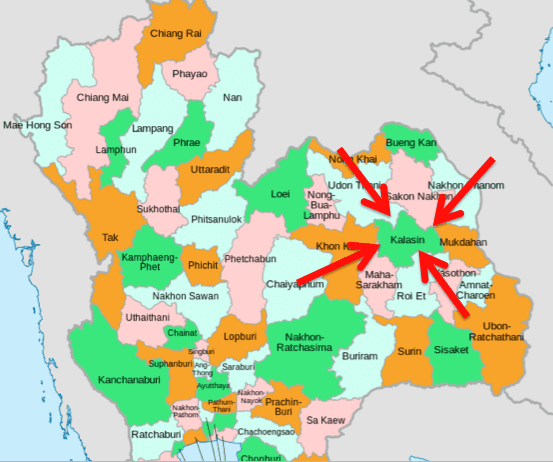 The districts are further subdivided into 134 subdistricts (tambon) and 1,509 villages (muban).